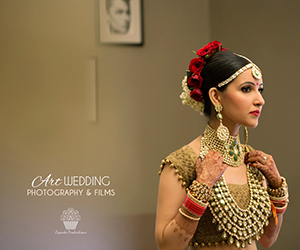 Our initiative ‘Love Actually’ is a photo series featuring engaged couples who actively seek ideas and inspiration from WeddingSutra. The series celebrates beautiful people in love as they start their lives together: because real love can only begin, never end. Sriram is from Coimbatore and Sreeranjani from Chennai. 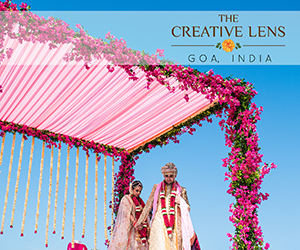 Here, Sreeranjani tells us about how they met, and writes about their day of love. “We both met during Sriram’s sister’s wedding but we did not talk much then. He left the country for his Master’s while I stayed back in India. Love didn’t happen then! A few years passed and when he was almost done with his Master’s, one fine day we started chatting randomly! After six months of back and forth chats, texts, and calls, we started growing closer! We knew that we liked each other but never said anything. He then planned a trip to India to meet me. I have seen a lot of romantic movies ending at the airport, but ours started there. I went to receive him at the airport and broke the security line to meet him. I knew at that moment that he was the one. We had a great time during his trip. 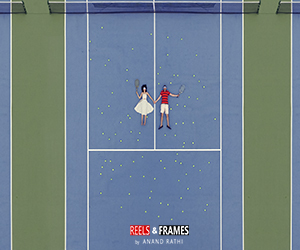 We fell in love and took a plunge into long-distance. Meanwhile, I was working and preparing for my Masters. After a courtship of almost two and a half years, I moved to the US for my Masters and there started our short-distance relationship. During one of our random conversations years ago, I told Sriram that if he ever planned on proposing it should be in front of the Eiffel Tower. Taking me to Paris would have been obvious but instead, he surprised me by proposing in front of a huge poster of Eiffel Tower that he ordered and placed in his home. Being the romantic that he is, he stole one of my rings without me knowing and used it to get an engagement ring designed for me. He proposed by going down on one knee on 4th July and the answer was an obvious YES! He even wore the shirt that he wore when we first met. I was awestruck by the detailing that he had gone into. Our pre-wedding and engagement party shoot was done by a friend of ours, Georgy Mathew. We had theme-based shoots for which we brainstormed together. We shot at various locations and had props for each of these shoots. Georgy is a pleasure to work with and he is an amazing candid photographer. 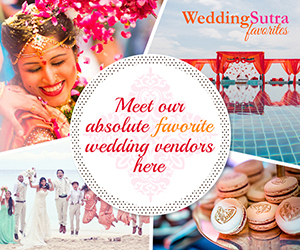 If you’re getting married in 2016 and would like to be a part of ‘Love Actually’ write to us (editor@weddingsutra.com) with the link to your FB profiles, wedding date and ‘how you met’ story. 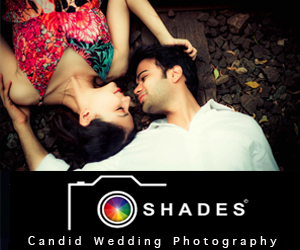 Selected couples will be invited for the shoots in Mumbai, Delhi, Bangalore and Chennai. This Eiffel Tower Paris Proposal will give you the Feels! This entry was posted on Tuesday, November 10th, 2015 at 2:18 pm	and is filed under Love Actually, Precious Platinum. You can follow any responses to this entry through the RSS 2.0 feed. Both comments and pings are currently closed.